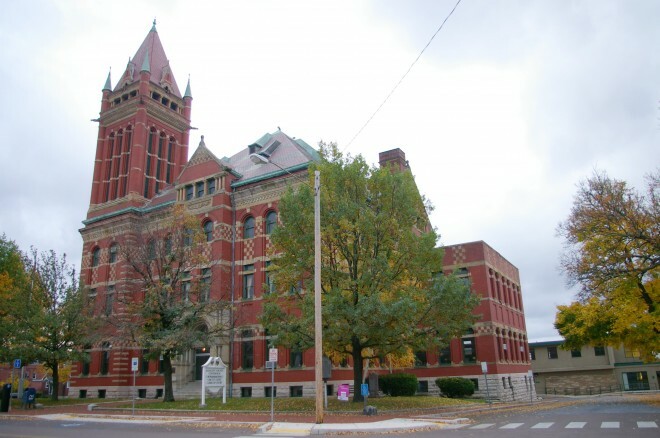 Allegany County is named for the Native American word “Oolikhanna” meaning “beautiful stream”. 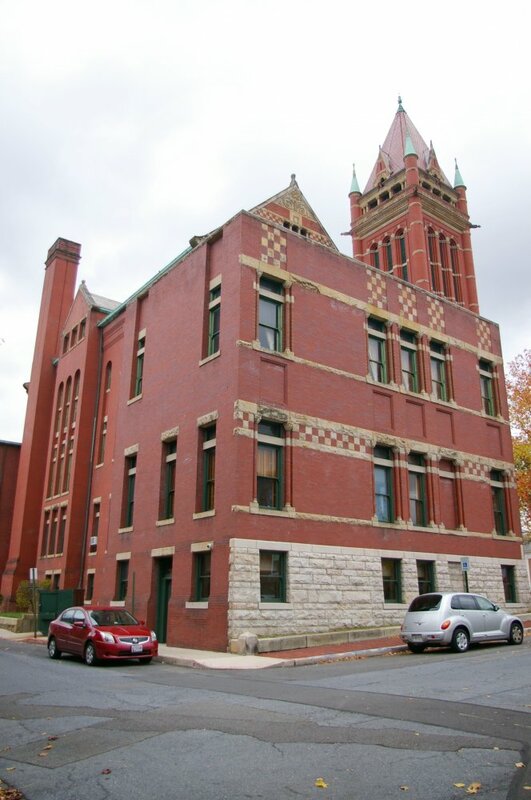 Description: The building faces north and is a four story red colored brick and stone structure. 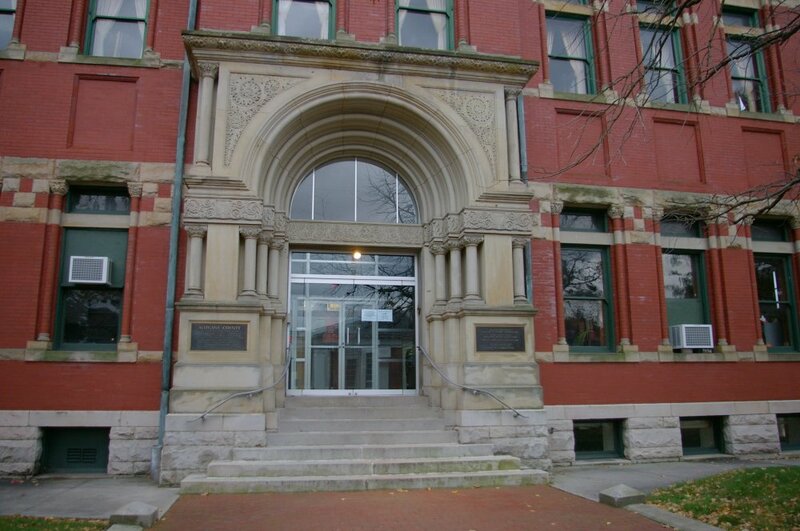 The north front has an arched stone entrance on the first story. The center section projects slightly from the main building and rises from the entrance to a peak above the roof line. 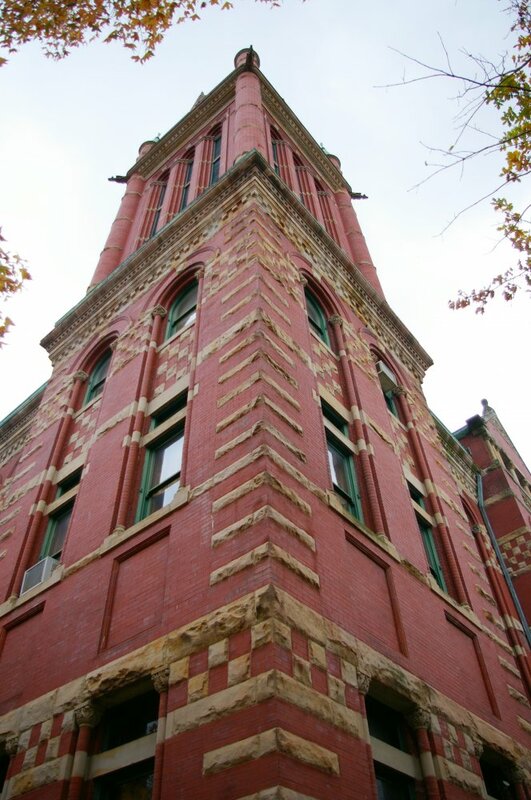 On the northeast corner is a high square red colored brick tower with turrets and steep pointed roof at the top. The roof is hipped. Horizontal stone belts run across the building. 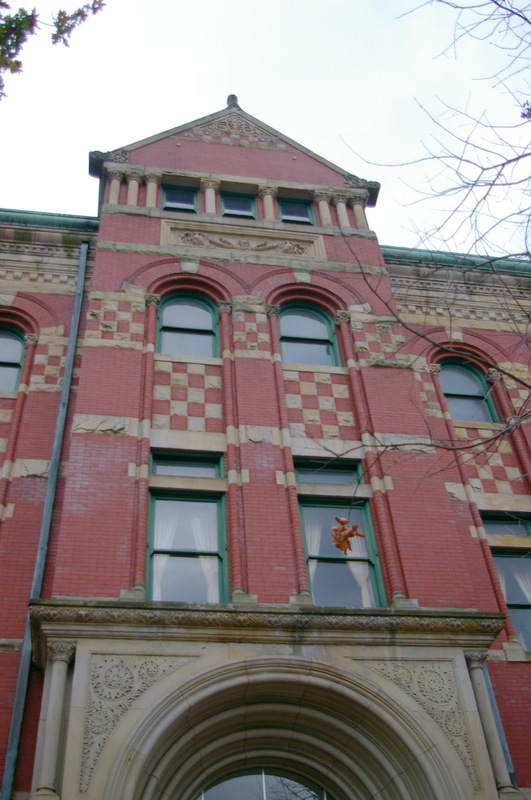 On the southeast and southwest corner are low two story sections. Note: The second courthouse constructed in 1841, was destroy by fire on January 5, 1893. 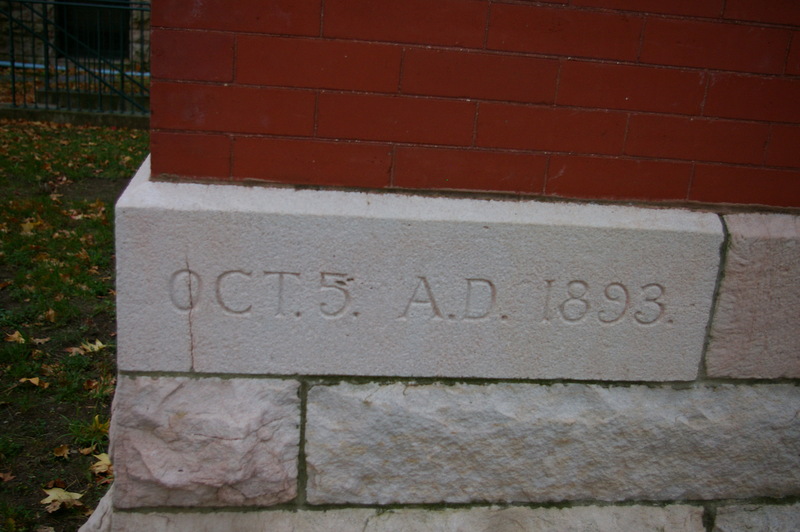 The cornerstone for the third courthouse was laid on October 5, 1893. 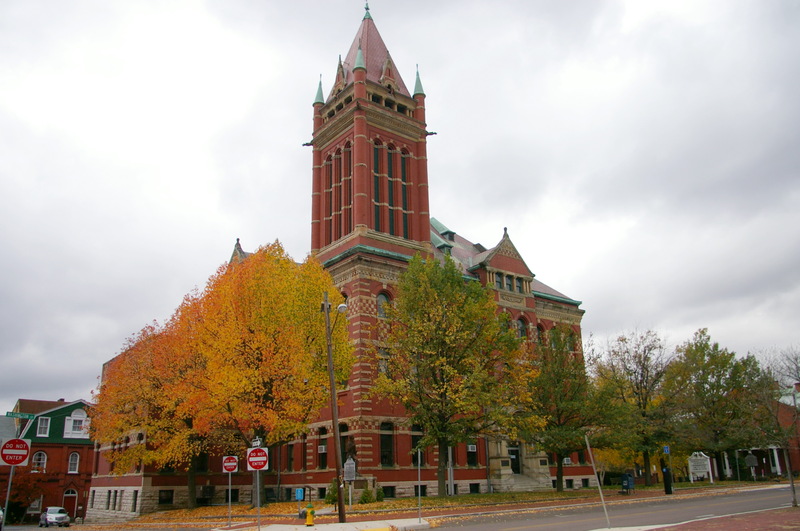 The architect Wright Butler based his design for this public building on the Richardsonian Romanesque architectural style. 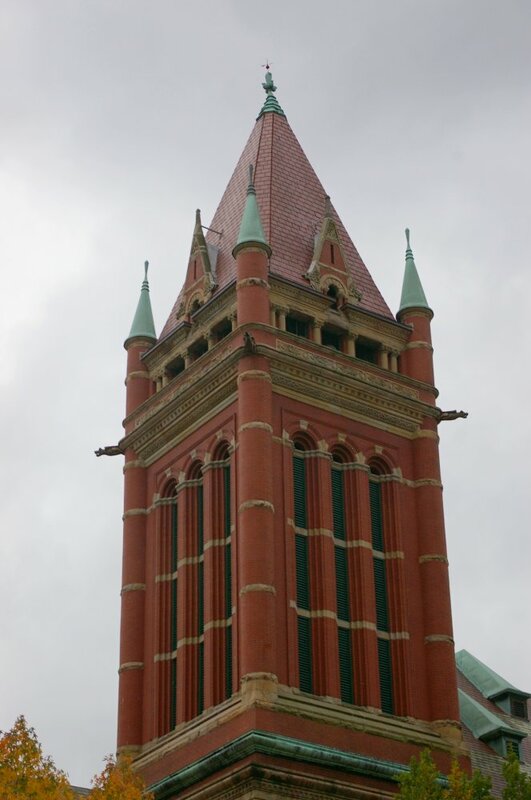 The massing and detail of the courthouse are typical of this late 19th-century style, developed from the works of architect Henry Hobson Richardson.